Escorted team from UNAMID’s Governance and Community Stabilization Section is pictured on its way to Birka area, North Darfur, to conduct a peace conference for farmers and herders, on 2 February 2018. 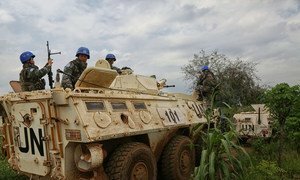 “Expectations for peacekeeping have so far outstripped its resources,” UN Secretary-General António Guterres told Heads of State and Government on Tuesday, as he opened a High-Level meeting marking the 70th anniversary of UN Peacekeeping operations, at UN Headquarters in New York. 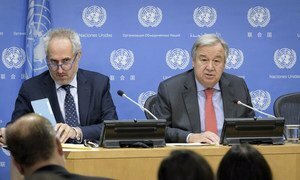 Peacekeepers must navigate complex conflicts on the ground, stalled peace processes and a rise in transnational terrorism but, said Mr. Guterres, one overarching challenge they face is the gap between aspiration and reality. 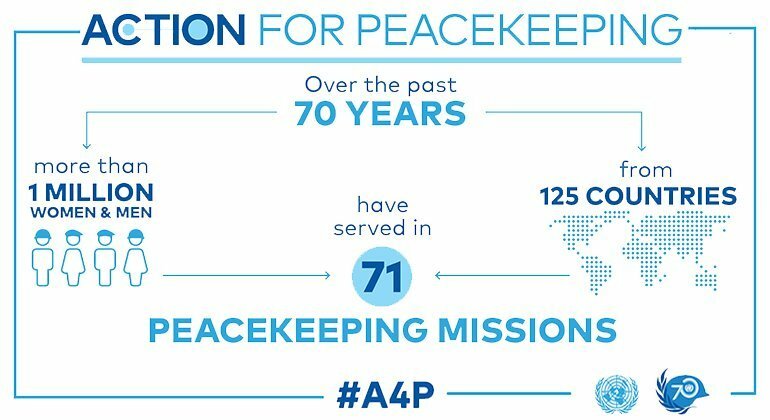 A4P aims to bridge that gap by refocusing peacekeeping bearing in mind more realistic expectations; making missions stronger and safer; mobilizing more political support; and providing better equipment and training for ‘blue helmets’. The initiative, said Mr. Guterres, is already becoming a reality, with independently-led reviews determining how the UN can better deliver on its mandates, including through more proactive, accountable missions; innovative approaches to training and equipment; and active steps to strengthen the role of women in peacekeeping. Referring to allegations of sexual exploitation and abuse, Mr. Guterres said that these are being responded to more quickly, with more support for victims; and that the UN is now more effective in seeking justice. But, said the UN chief, partnerships with regional and sub-regional organizations are instrumental if the UN is to achieve its objectives. When it comes to counter-terrorism or peace enforcement, African peace operations - including those mandated by the African Union - are playing a critical role. The Secretary-General urged more countries to endorse the Declaration of Shared Commitments on UN Peacekeeping Operations. As of Tuesday, it has been endorsed by more than 146 governments, and he urged more support for UN peacekeeping operations, including through predictable, adequate and sustainable financing, in order to make peacekeeping fit for the future. Thanking the Heads of State and Government for their contributions, in terms of troops, police and funding; managers of peacekeeping mandates; and governments hosting peace missions, Mr. Guterres said that, with the Declaration providing a clear agenda for the peacekeeping community, it is now time to translate commitments into action.